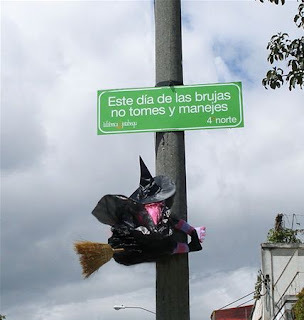 "This Halloween, don't drink and drive." Or drink and fly. Found in Guatemala by Coolz0r. 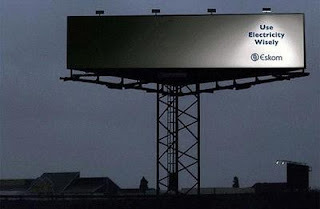 Billboard from Eskom in South Africa: Use Electricity Wisely. 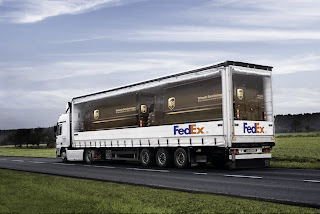 A FedEx truck with painted UPS trucks in it. 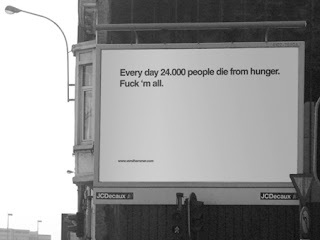 Kind of like this and this, but still pretty funny.